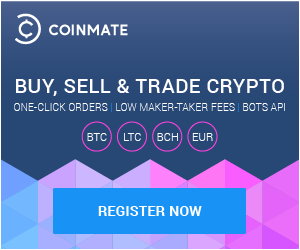 We are always excited when a new review about coinmate.io comes out. This time guys from Cryptowisser wrote pretty comprehensive one. Why don’t you go check it out! It has everything it should have and maybe you will also find some other interesting articles. They have plenty of those!